Stephen Ministry is a one-on-one care ministry that equips and empowers lay caregivers — called Stephen Ministers — to provide high-quality, confidential, Christ-centered care to people who are hurting. Stephen Ministers are not counselors, mentors or pastors; they are men and women who understand the ministry of presence — being with people to love and support them through life’s difficult times. To contact Stephen Ministry, learn more, or to request care choose from the options below. We need more Stephen Ministers! We’re looking for men and women who love the Lord, who are gifted with compassion and mercy, who are great listeners, and who can keep confidences. Has God given you a heart of compassion for others? Consider becoming a Stephen Minister. Stephen Ministers receive 70 hours of in-depth training as well as on-going continuing education and supervision. 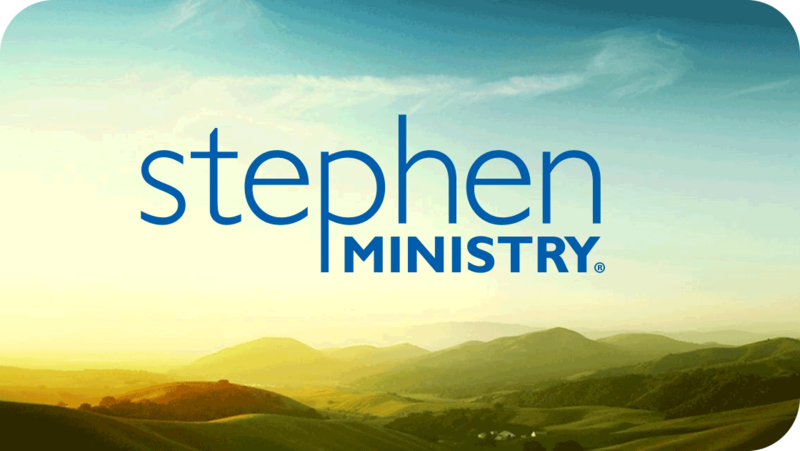 Our next Stephen Ministry Training begins in September of 2019. We are accepting applications now through the end of June. To find out more, please complete the interest form.